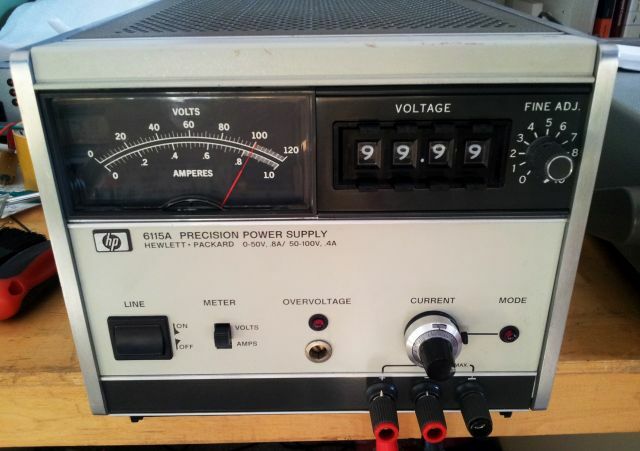 HP 6115A Precision Power Supply: repair complete! No repair can proceed, without sufficient time, and without the right spare parts. Time was very much occupied by other business recently, spares took time to ship from Greece to Germany… the 2N6211 transistors. 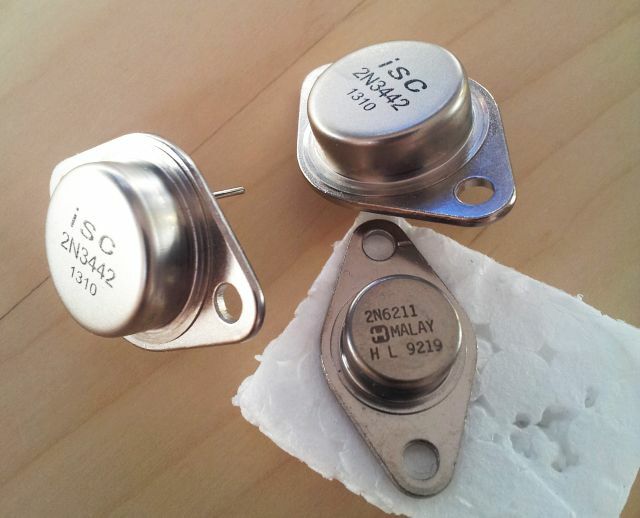 Here they are – the 2N3442 are China-made (ISC) transistors of rather recent production, the 2N6211 date back to 1992. Not much to write about the further repair, mounted the transistors on the heat sink, soldered-on the cables, replaced the Zener diodes of the main board (series regulator bias), and switched the 6115A on. Success! Some minor calibration of the panel meter. Other than that, all in good shape. 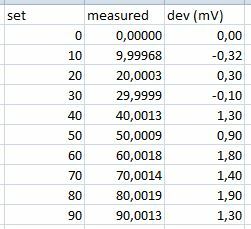 Various things can be measured to verify the correct operation of the 6115A, here just a quick test checking all the ranges, linearity, and deviations. 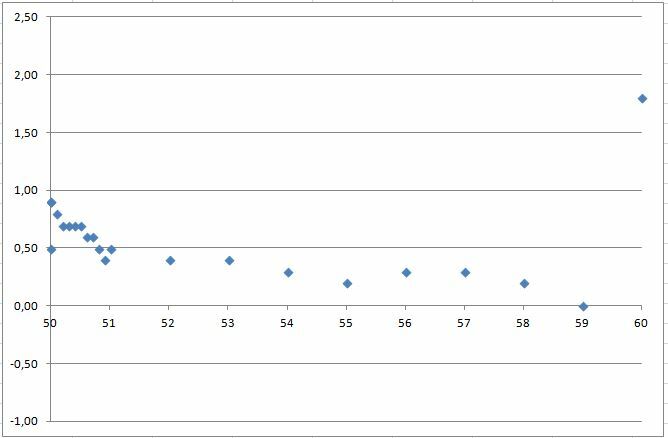 In short, it is very much more accurate than the 0.025% + 1 mV output accuracy specification. 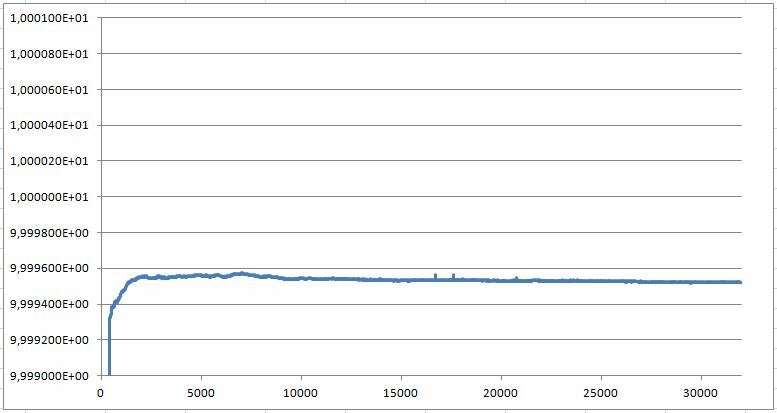 After a full cool-down, checked the stability/drift after a cold start, with the output programmed to 10 volts. It is ramping up nicely, with some very minor “instability” during the first hour, but then stabilizing to almost perfect level. This is with no load. 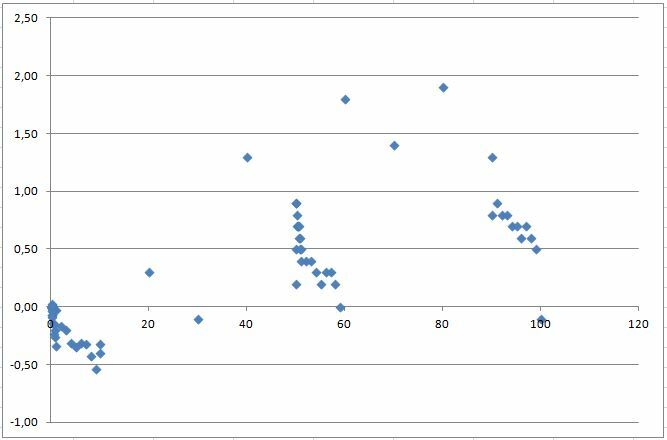 Sure it may degrade a bit under full load, fair enough (horizontal axis shows measurement number, period is about 0.3 s per measurement). Finally, this is the working precision supply.